What is more beautiful in a garden than the blooming of fruit trees? With ornamental apple trees, small spaces and amateur gardeners can also take advantage of it. 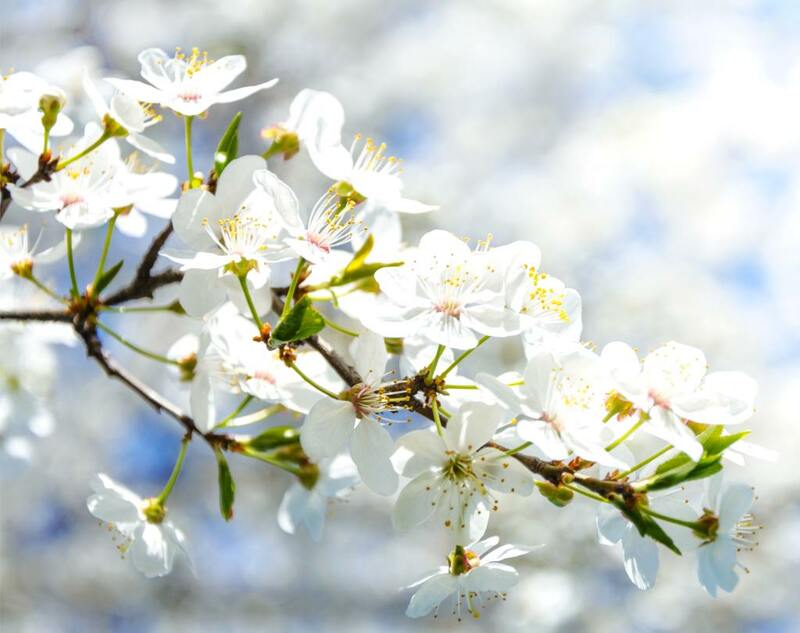 Branches covered with pale pink to red flower buds that open to reveal hundreds of white, pink or red flowers: the sumptuous blooming of fruit trees, from pear trees to cherry trees, is a heart-warming moment of spring for any gardener – and aesthete – that takes pride in work well done. Quite resilient and easygoing, ornamental apple trees make it possible to benefit from this spectacular show without all the cumbersome care, pruning and treatments of their edible fruit-bearing apple tree cousins. Moreover, they change their dark green leaves for shimmering hues of fire in fall, and in winter, their small fruits are a boon to the birds: the stage is set for every season! Hardy ornamental apple trees adapt to any type of garden soil, even chalky ones, and can be planted either in full sun or in part shade. 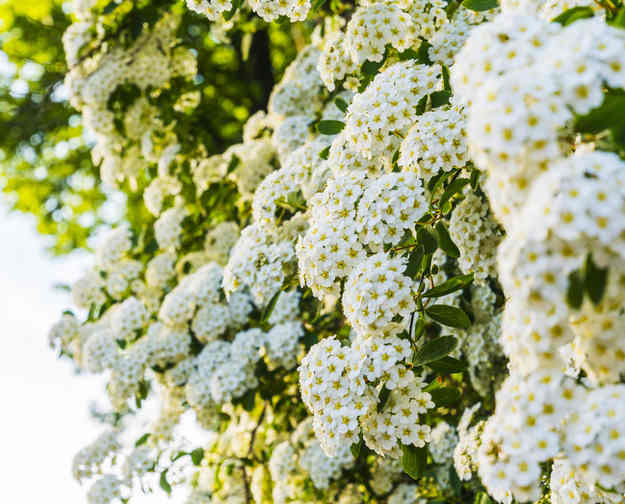 It is hardy to the cold and doesn’t care for pollution, and doesn’t require any pruning except for the occasional light pruning for upkeep and harmony of its shape. As for specific care, mulch in summer if the weather is warm and dry and add a bit of fertilizer in spring. Planting is performed in fall. 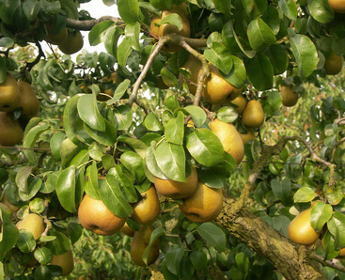 To boost fruit formation, plant two different cultivars. With its small size – 16 to 20 feet (5 to 6 m) on average – ornamental apple tree is perfectly suited to small gardens as as a standalone, and it can also enter in a shrub bed arrangement or a hedge. Different forms exist: bushy (like the Malus sargentii native to Japan), weeping (‘Red Jade’ or ‘Cheal’s weeping’) or dwarf, which is ideal for growing in pots or garden boxes (Malus sargentii ‘Tina’ or ‘Red Sentinel’). 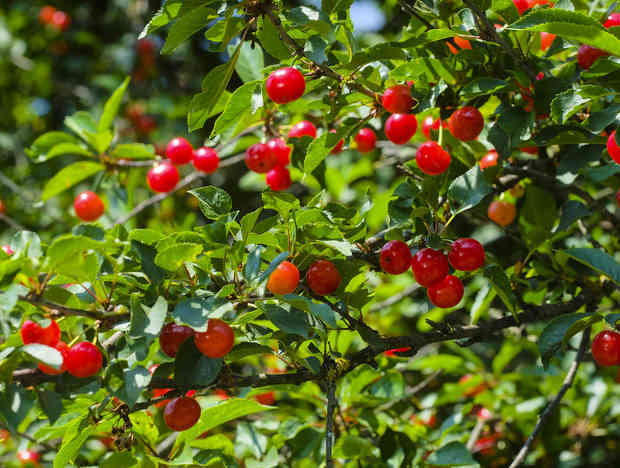 Developed by the French INRA agronomic research center, Malus ‘Everest’ Perpetu® and ‘Coccinella’ Courtarou® are among the varieties that best resist the cold and disease. Apples from ornamental apple trees are generally edible but their taste is somewhat wanting. Their high pectin content makes them very suitable to cooking jelly, though.